This summer at Terracotta, we’ve been pretty busy working on making our test and build infrastructure more convenient for the developers. They are hosted on Terracotta’s github account , follow their links to get more details about them. Nexus Dependency Management Plugin : a plugin to list the dependencies of a given artifact (and its parent) and also display some metadata such as SCM url, build url (think Jenkins job url) and the maven profiles enabled during the build; you can also use its optional maven plugin companion , the Maven Metadata Properties Plugin that publishes additional metadata in the pom before committing it to the tag, during release. This maven plugin lists all the Junit tests of a maven module (classes and methods) annotated with a @Category ; sorted by category names. When all Jenkins’ slaves are busy, wouldn’t you like to be able to launch the job you’re waiting after right now ? without adding it to a long queue ? without waiting for current jobs to complete ? If your answer is yes, then the Accelerated Build Now plugin is for you ! The idea behind this plugin is that a user should not wait for automatically scheduled jobs to complete; his/her jobs should be the priority (and in the case the plugin needed to kill a running job scheduled automatically, it re schedules it).
) to test any change. fresh new #oss plugins for #nexus #maven and #jenkins from @terracottatech check them out ! 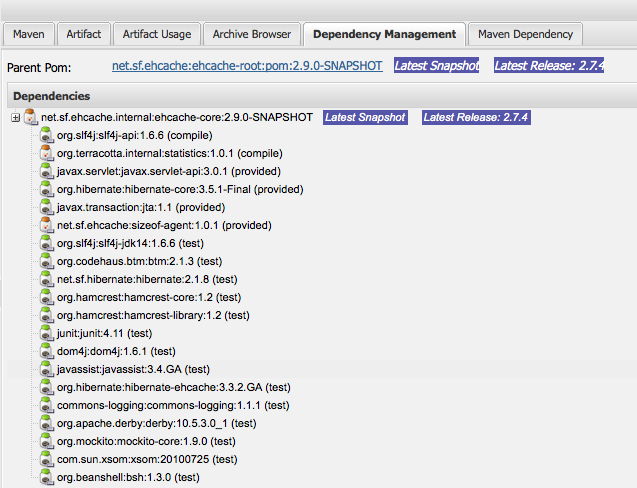 RT @anthonydahanne: fresh new #oss plugins for #nexus #maven and #jenkins from @terracottatech check them out ! Really enjoyed the Jenkins Build Now Plugin from @terracottatech ! http://t.co/E6f9p8bw0R Thanks @anthonydahanne @ljacomet @bitronix !